On Tuesday evening, just two days before Tamil Nadu was set to vote in the Lok Sabha elections on April 18, President Ram Nath Kovind accepted a recommendation from the Election Commission of India ti countermand the polls to the Vellore parliamentary constituency. This makes Vellore the first Lok Sabha seat in India where elections have been cancelled on the suspicion that the candidate of a major political party has been carrying out corrupt practices. In an elaborate report to President Kovind, the commission detailed how cash was packed neatly in covers with ward numbers printed on top to be distributed to voters. This money had been recovered towards the end of last month, when the Income Tax department searched places connected to Dravida Munnetra Kazhagam candidate Kathir Anand, the son of party treasurer Durai Murugan. The report revealed the systematic attempt to bribe voters. 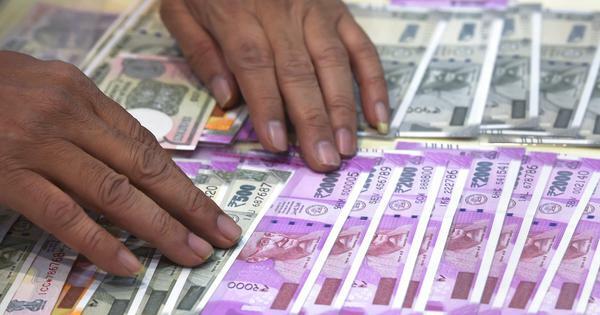 The report also established the trail of how cash was converted into Rs 200 notes, with the help of an official in the local branch of the Canara Bank. Rs 11.50 crore was seized in the operation. On Tuesday, the Income Tax department also searched the residence of DMK candidate Kanimozhi in Thoothukudi, with media reports suggesting that the operation was concluded in two hours because nothing incriminating was found on the premises. This resulted in a strong statement from DMK president MK Stalin, who claimed that while politicians from his party were being targeted by the Centre, no action was being taken on complaints of cash being distributied by the state’s ruling party, the All India Anna Dravida Munnetra Kazhagam. The AIADMK is fighting the Lok Sabha election in an alliance with the ruling Bharatiya Janata Party at the Centre. Given the DMK’s history of attempting to use cash to influence voters, it is difficult to accept Stalin’s claim that the Vellore searches were merely an example of vendetta politics. However, Stalin has a point when he says that the Opposition is being disproportionately targeted in Tamil Nadu. On Tuesday, the police had to fire in the air in Andipatti in Theni when Amma Makkal Munnetra Kazhagam workers refused to allow a flying search squad on election duty to enter the party office. Media reports said that Rs 50 lakh of cash was seized in the search. Since early April, Tamil magazines and newspapers have been carrying reports about cash being distributied to voters across the state. In attempt to crack down on this, the Election Commission, in a rare decision, decided to post two expenditure observers instead of one in each constituency in Tamil Nadu. So far, more than Rs 500 crore worth of cash and kind have been seized in routine checks, the commission has claimed. However, these measures have clearly not deterred political parties because the commission’s credibility has been eroded by its poor track record of ensuring convictions in such cases. For example, The Week reported last week that in the 2016 Assembly elections, the ruling AIADMK had distributed money valued at over Rs 640 crore, as was evident from documents seized by the Income Tax department in its searches. Yet, three years later, there is no information on action the Election Commission has taken on this. The next year, bye-elections to the Dr Radhakrishnan Nagar constituency were countermand because of voters being bribed. The Income Tax department claimed that cash to the tune of over Rs 80 crore had been distributed in the constituency. But the cases never seemed to make any headway. By now, it should be evident that merely cancelling polls will not stop political parties from bribing voters. A concerted effort is necessary to ensure that such cases end in the accused being convicted and that those who bribe voters should be disbarred from competing in elections. Else, India’s electoral system will remain tainted.